a 14-membered hydrogen bond between the carbonyl of the C-terminus and the NH of the amide two residues toward the N-terminus (3 residues per turn) (Fig. 33) . Seebach's y-peptides formed a 14-membered hydrogen bond between the carbonyl of the N-terminus and the carbonyl two residues toward the C-terminus (2.6 residues per turn) . 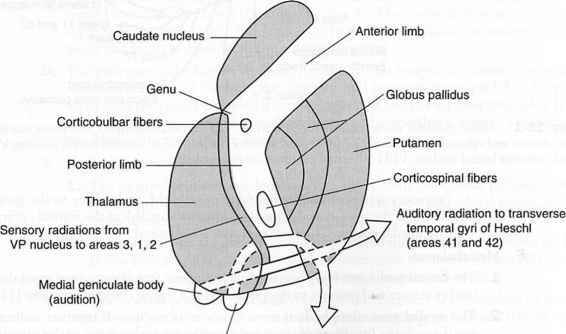 Of the many elegant studies reported by Gellman and coworkers, two are particularly relevant to the discussion at hand. 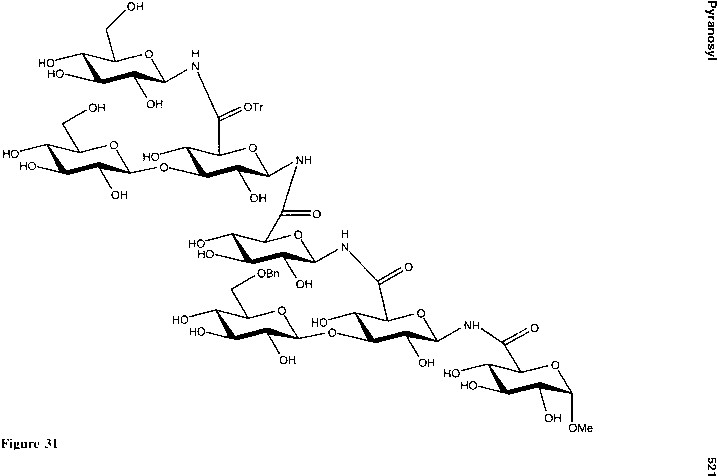 The first was the formation of water-soluble ¡-amino acid hexamers with stable helices in water . Four different systems containing positively charged amine functionalities were prepared (Fig. 34). The charge promoted water solubility and, at the same time, prevented aggregation . 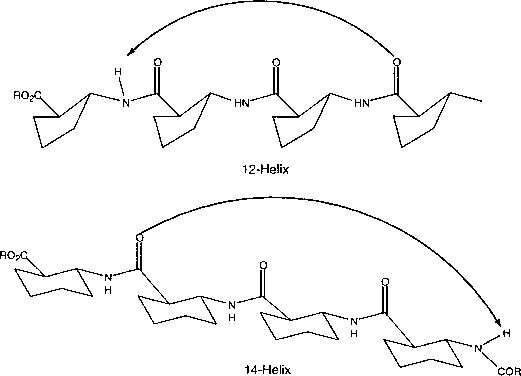 Structural analyses using the aforementioned techniques confirmed that these oligomers adopted a 14-helix conformation in aqueous solution. Demonstrating that conformationally stable, water-soluble candidates could be prepared was the first step toward using these new materials to solve biologically relevant problems.